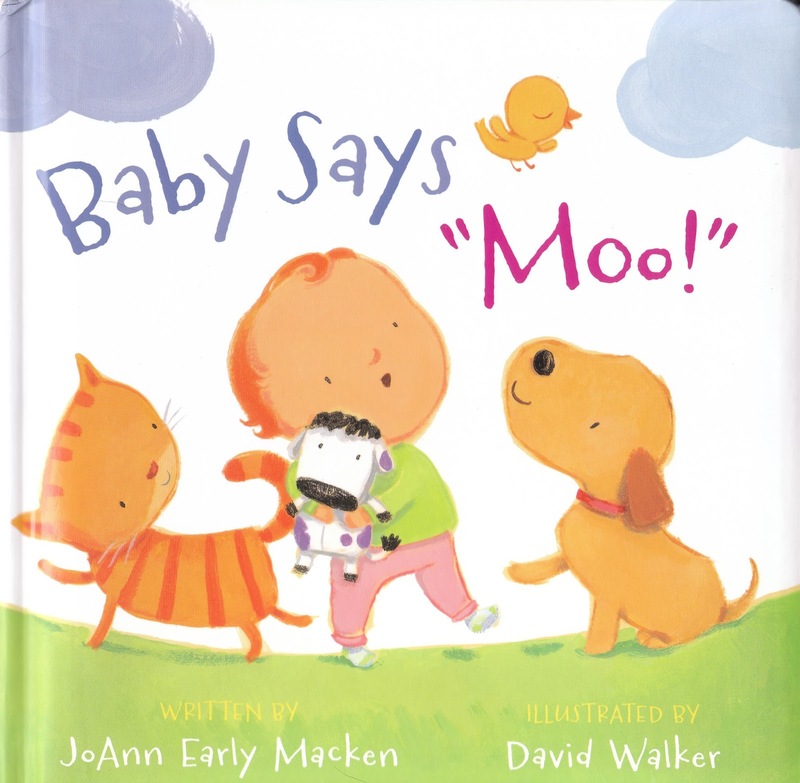 Teaching Authors--6 Children's Authors Who Also Teach Writing: Baby Says "Moo!" Book Giveaway! Baby Says "Moo!" Book Giveaway! Hooray for good news! After 2 1/2 grueling years, our son is cancer free! My husband retires today! And I have a new book! The padded board book edition of Baby Says "Moo!" is here, and you could win an autographed copy for you or your favorite baby. 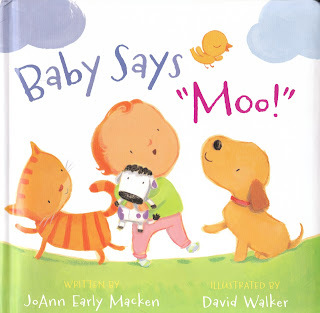 You can read more about Baby Says "Moo!" in this interview with the VCFA Launchpad, the Vermont College of Fine Arts MFA in Writing for Children and Young Adults blog. Enter below to win an autographed copy. The giveaway runs through June 22. We'll announce the winner on June 26. Good luck! Today's Poetry Friday Roundup is at Jama's Alphabet Soup. Enjoy! Super super big hugs for Jimmy!!! And for Jimmy's Mama book giveaway! And congratulations for Jimmy's Papa retiring! I see many good days ahead! What a wonderful post full of such good news. Congratulations on healing, retirement and a lovely new book in the world! With a new baby due to arrive in our family this fall, this book is a must-have! Thanks for sharing your news about it! Good news all the way around! Congrats on everything! Thanks, everyone, for your support and good wishes! Best of luck in the drawing! Congratulations on all of your good news! And thanks for the opportunity to win a signed copy of your book. Great giveaway. I love the title of the book..lol. My niece would absolutely love this. CONGRATS on your wonderful and blessed news!!!! Many smiles, lots of applause. Such happy days are in your calendar ahead. And the title & cover are so appealing. Belated thanks, everyone! We've just returned from a family gathering out of town. Em M is the winner of this giveaway. Congratulations, Em! Watch for an email with instructions. Laughing, jumping up and down, celebrating half-way across the country for all your great news, JoAnn! In this case, more exclamation points are definitely called for!!!!!!!!!!!!!!!!!!!!!!!!!!!!!!!!!!!!!!!!!!!!!!!!!!!!!!!!!!!!!!!!!!!!!!!!!! Can We Give the Exclamation Point a Rest? 3 Ways To Inspire a Poem--Oops!